Whenever potting, planting or transplanting aquatic plants. 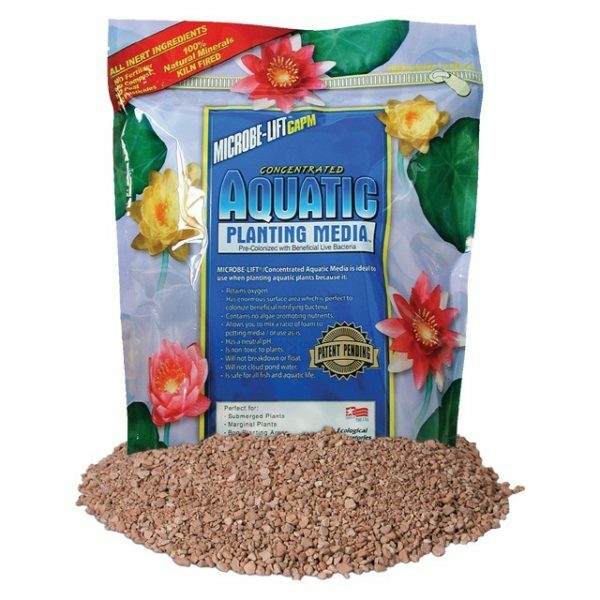 Provides a high quality, stable ceramic media that can be used alone or mixed with loam for potting aquatic plants. The bacteria in ML/CAPM also populates the root zone of the plant, working synergistically with the roots to produce growth factors and modify nutrients so that they can be more readily taken up by the plant.